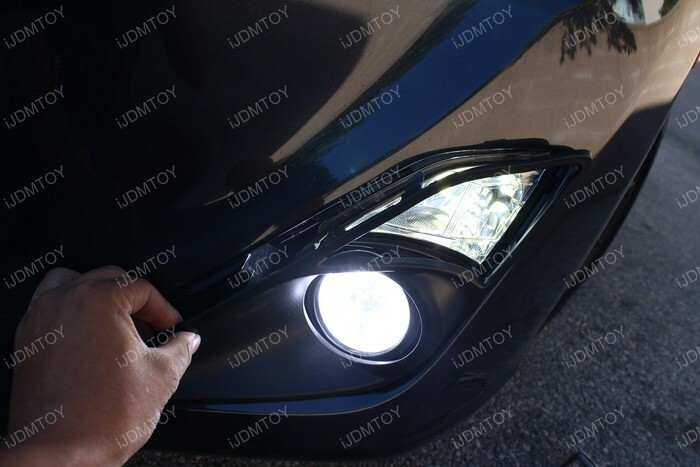 NOTE: This is a general installation guide for this set of LED fog lights that are compatible with a number of vehicles. 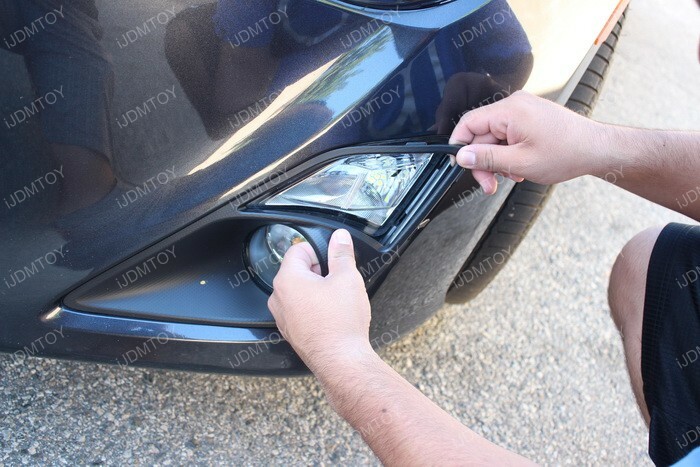 While the overall concept is the same, you should use your best judgment when installing these LED fog lights since every vehicle is different in terms of bumper removal and installation. The sample vehicle is of a Scion FR-S, but the overall concept is still the same. Step 1: Your goal is to gain full access to the fog lights so you can disconnect it from the stock harness, unbolt, and remove it. Now every vehicle is different, so the process of getting to the back of your fog lights varies from car to car. This may involve removing your front bumper so it would help if you looked on YouTube or specialty car forums on how to remove the front bumper for better access to the fog lamps. 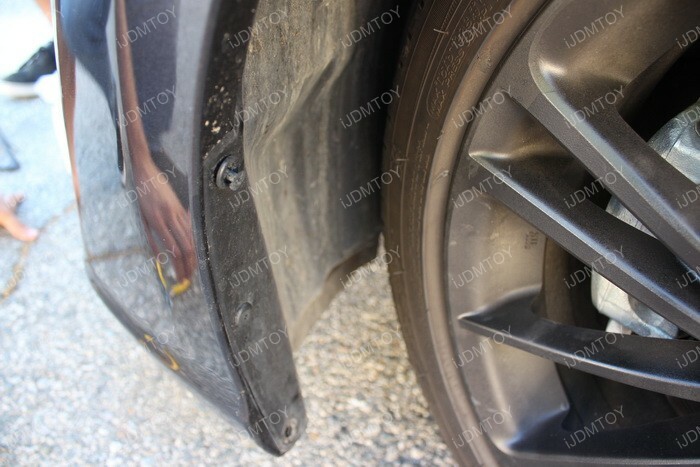 Rest your bumper on a piece of cardboard to prevent scratches. Step 2: Remove the front bezel. Take a firm grip on the bezel assembly and pull it away from the bumper from the top and middle portions. Work your way down to the center. Be careful so you don't damage the bezel. 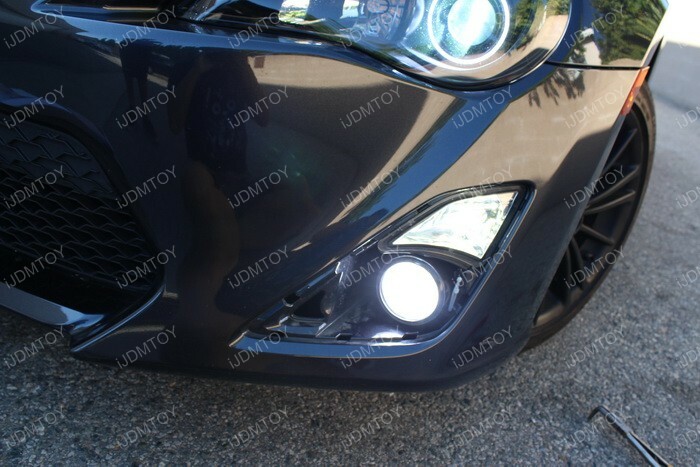 Step 3: This particular FR-S has already installed a set of aftermarket fog lights which is why you see the white zip-ties holding the fog light in place. 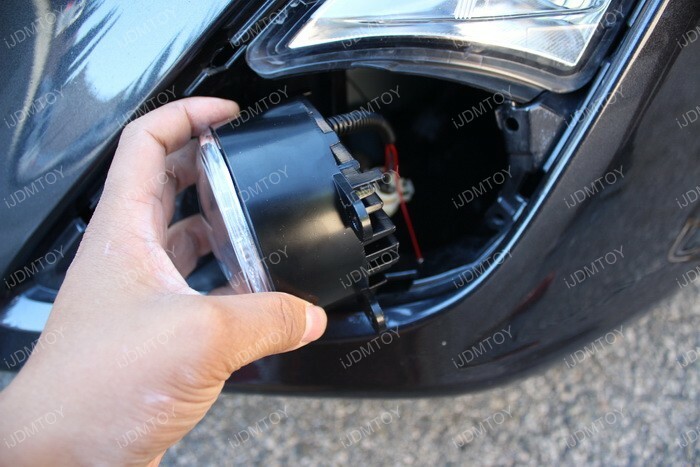 If you car does not come with factory fog lights, you will need to zip-tie the new LED fog lights in place. 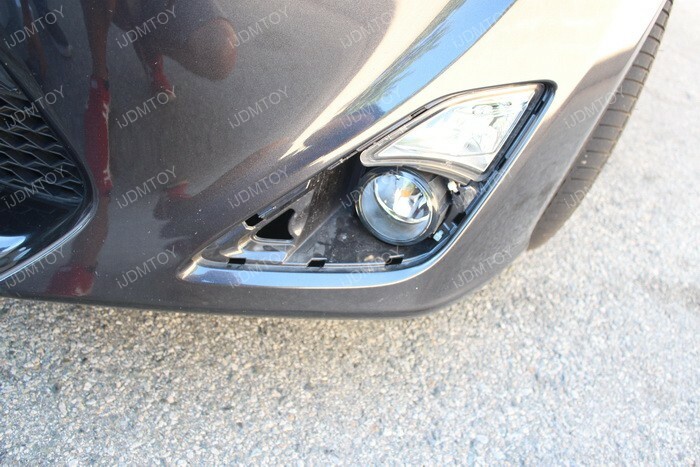 Otherwise, if you car has factory fog lights, there should be screws to hold onto the new LED fog lights. Step 4: Remove the screws that hold the fender liners in place. You can turn your wheel to the opposite side you're working on so you can have more hand space. 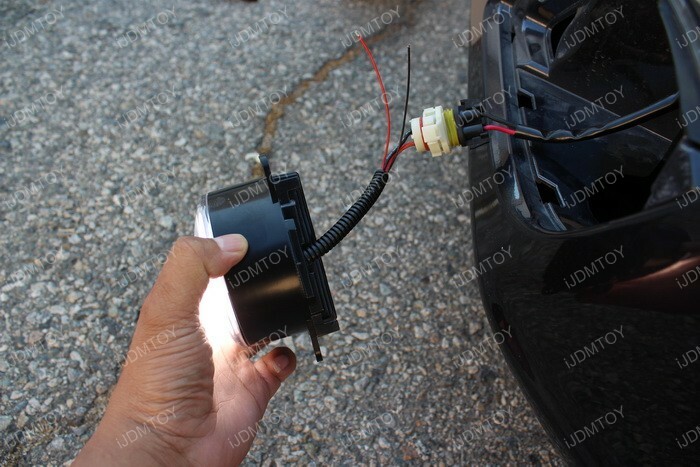 Step 5: Disconnect the wiring and remove the factory fog light assembly by reaching in through the wheel well. Set the factory lamp aside. 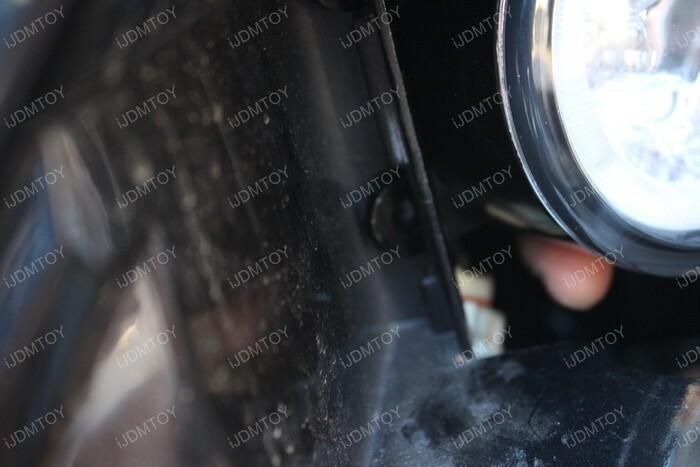 Step 6: Install our LED fog light assembly by first positioning the two clips into the slots located towards the center of the vehicle. Hold this in place as you proceed. Insert the assembly from the wheel well area. Wiring: Since this installation guide is a general tutorial that covers several different LED fog lights, the concept is still the same. 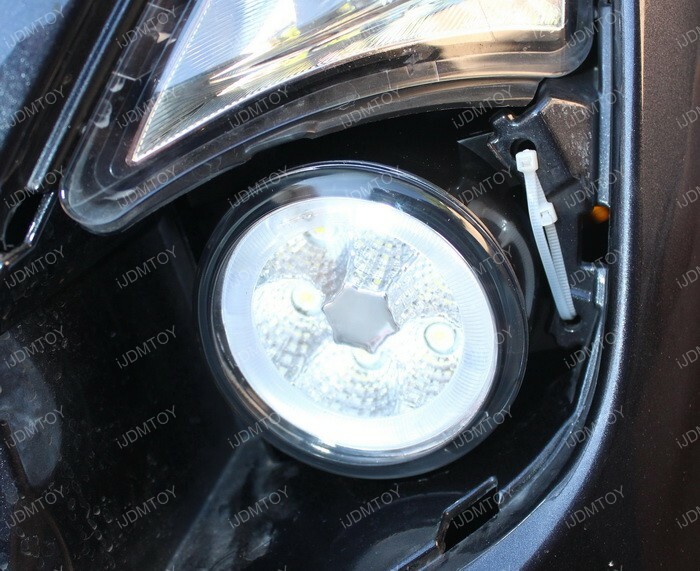 Only the wiring directions vary among the different LED fog lights. Connect the LED fog lamp the module box using the square shape adapter. 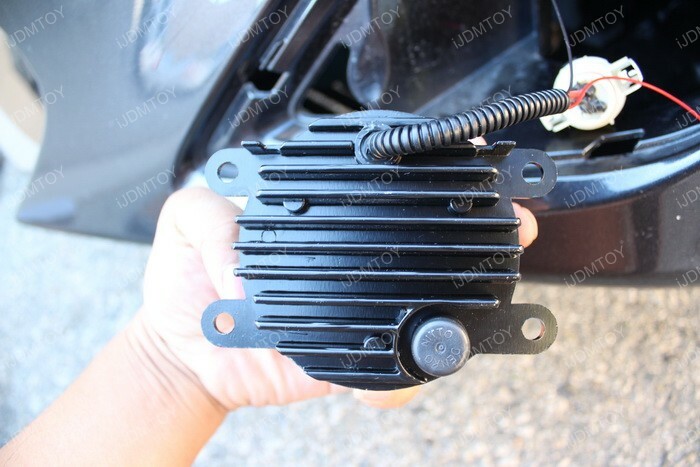 On this module box, there's two metal pins which are for the LED fog light function, please connect them back to the stock fog light harness. Connect the module box to the additional harness using the triangle shape adapter. Connect the red/black wires to any 12V power source for the LED halo ring. Extend the Red (+) and Black (-) wires and tap them to a power source you want the rings to be on, such as your parking or daytime running lights. Connect the LED lamp to the factory connector. Connect red/yellow/white to ACC or 12V power source. Step 7: Position the assembly into the other slots on the opposite side and secure it. If your car does not come with factory fog lights like this FR-S, then you will need to secure the new LED fog lights with zip ties. The LED assembly may fit loose, but the zip ties should help hold it in place securely and sturdy. Step 8: Turn on the lights and check to make sure the lights are properly working as how you wired/connected them. Step 9: Re-install the fog light bezel assembly and fender liner and any other components removed for installation. 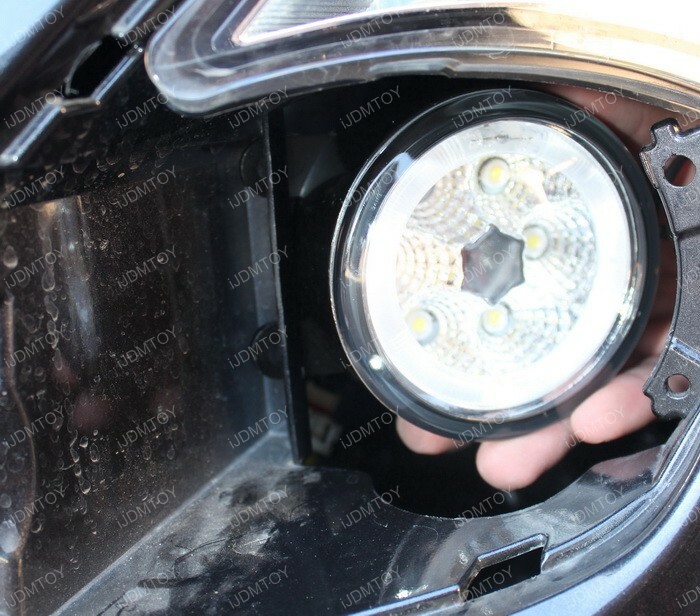 Enjoy your new LED fog lights!